Now that The Royal Bank of Scotland has set its sights on the second half of 2012 to hive off its insurance arm, it must decide whether to conduct a trade sale or float the division on the stock market. The company says that all options are open at this stage, but has long expressed a preference for a flotation. If the bank takes this route to the exit, Insurance Times has discovered that, while RBS Insurance may find favour with investors, the solution may not be as quick or clean as it first appears. 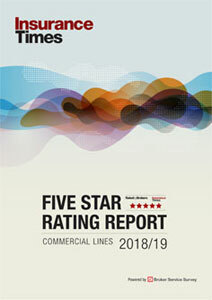 A senior investment banking source with experience of book-running for insurance initial public offerings (IPOs) suggested that given the size of RBSI – the biggest personal lines motor player in the UK with £4.3bn of premium income in 2010 – a 100% flotation of the business would be highly unlikely. The company’s first foray onto the stock market may have to be a minority stake, the banker suggests, and it would be a surprise if it were able to float more than 50% at one time. This could put RBS in a tricky position. The 2009 settlement the bank reached with the European Commission regarding its bailout by the UK government says it must divest at least the controlling interest of RBSI by the end of 2013. Should the company not be able to divest a controlling interest by the deadline, it may have to negotiate with the European Commission. However, the Commission may be prepared to be flexible if the company shows it has done the work to divest the required amount by the deadline, but was unable to do so because of market conditions. The Commission is deemed unlikely to force the bank to sell the stake with no consideration of possible return. A spokesman for RBS declined to comment on how the company would tackle such a situation. However, the spokesman added that the company is in the process of looking at how it would establish itself as a separate business. “There are parts where there are shared services between ourselves and the RBS group, so we need to work out what a standalone business entity would need and work out how we would do it,” he said. Aside from putting in place structures and systems that would allow RBSI to run on a standalone basis, the company faces a number of other challenges. One is coping with the information needs of analysts and investors. The current levels of disclosure about the RBS Insurance business as part of the wider RBS group is inadequate to allow analysts to get an accurate picture of the company’s performance. It lacks information such as loss development tables, which allow observers to track how claims unwind over time. Another difficult decision facing RBSI is how it sells itself to investors and asset managers. Broadly speaking, there are three types of audience for an IPO: those who look for strong revenue and market share growth; those who look to buy firms trading at a discount to net tangible assets; and those looking for sustainable profits and dividends. Cooper and Flanagan both suggest the company would be better marketing itself as an “income stock” that produces steady earnings and dividends. While agreeing, the investment bank source believes the company should have a growth element to its story to woo investors. Selling the RBSI story will also be a challenge because of the firm’s recent financial performance. The group made an operating loss of £295m in 2010 and posted a combined ratio of 115%, largely because it had to strengthen reserves multiple times to combat bodily injury claims inflation in personal lines motor business. The company now claims it has turned a corner, and sharply increasing motor rates could help it return to profitability and show revenue growth. However, that is unlikely to impress the specialist analysts and investors. Despite the challenges, the prospects for an RBSI flotation could be good. 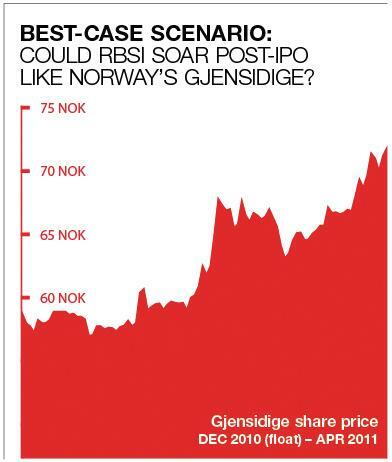 The flotation of Norwegian general insurer Gjensidige last December, which is broadly similar to RBSI in market share and business, was well received: the company raised £1.1bn. Sources estimate that RBSI should be able to achieve around 1.3 times its book value. The insurer has every chance of being a hit with investors if it improves performance and sells its story well. - What happens if the group can't meet the EU deadline to lose more than half its insurance arm by 2013? 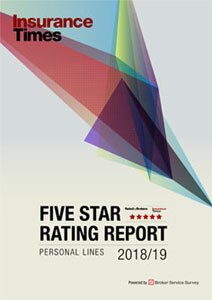 - The current motor market bodes well for the RBS group's recovery and potential for growth. But would RBSI find more favour in marketing itself as an income stock? - What does RBSI need to do to be a hit with analysts and investors?